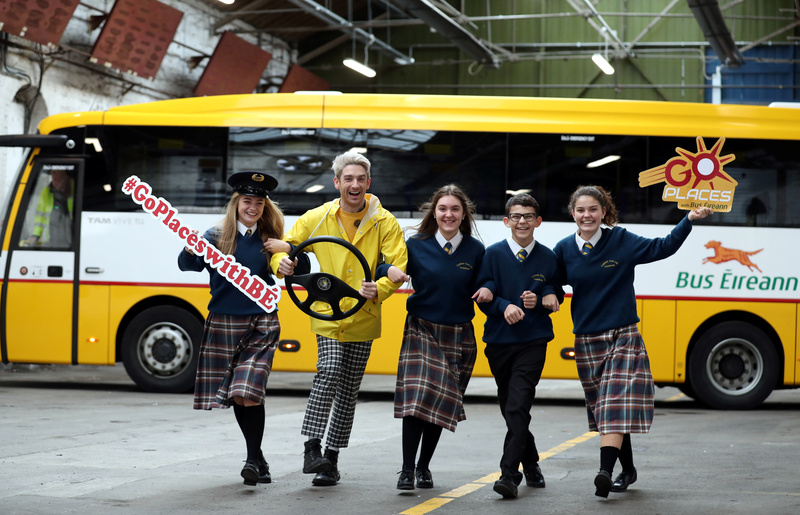 Transition Year students across Galway have been encouraged to take part in Bus Éireann’s Go Places with Bus Éireann 2018 – 2019 competition. Students from across the country are invited to express their creativity in the competition by documenting their school journeys. The competition is open for all transport modes to school. Every day up to 117,000 students from 3,000 schools countrywide travel to and from school on 4,500 vehicles across 6,500 routes. This adds up to over 40 million individual journeys during term annually. Nicola Cooke, Media and PR Manager with Bus Éireann said: “At Bus Éireann, making better connections is important to us. “School is where you connect with people and make memories for life so we’re encouraging TY students to document their school journeys and share them with us as part of ‘Go Places’. Last year, Alannah Doherty from St. Clare’s Comprehensive in Manorhamilton, was selected as the national winner for her creative photo diary. Alannah submitted 20 insightful photographs with humorous captions and hashtags of her journey to school using the Bus Éireann School Transport Scheme. The photos captured her journey from pick up – across from Neven Maguire’s famous MacNean House eatery – past the picturesque Lough MacNean and on to Manorhamilton in North Leitrim.